African Grey Parrots are medium sized at 10 to 14 inches in length. This makes them terrific as a house pet. Their cages are large enough to be decorative as well as a living area for a fun friend. Male parrots are usually larger than females, but the difference is really minimal in African Greys. Females tend to have a smaller head and more narrow neck. 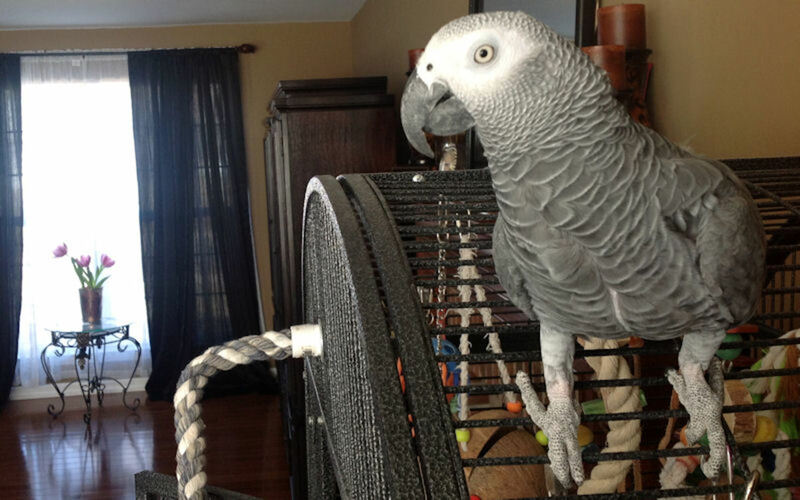 African Grey parrots love to talk and play. They have an amazing mimicry that will sound just like you if you talk to it a lot. They will also develop speech patterns of the other members in the home and may imitate other pets as well. All parrot pets love to interact with the family. They especially love to have their head stroked. They do not like to have their body handled very much though. Parrots can get bored easily and harm themselves, so it is best to have someone play with them on a daily basis. At the very least, let them watch TV when you are gone. The scientific name for the African Grey Parrot is Psittacus erithacus, and they originated in the rainforests of West and Central Africa. These parrots are considered to be one of the most intelligent birds in the world. They are gentle in nature and make lovely pets. 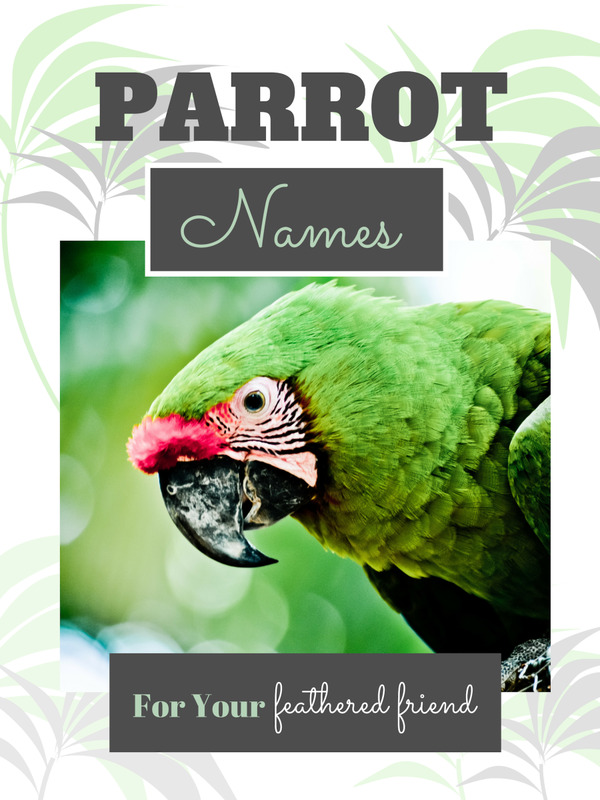 According to Information on Parrots as Pets for Beginners, much research is needed to find just the right parrot pet for your home. This is a huge decision as parrots have quite a long life span and some species can easily outlive you. Do your homework! There are many kinds of parrots, and some make much better pets than others. Start small. Try parakeets or love birds first. Larger birds are much harder to care for. Parrots require proper care, lots of attention and lots of love. Parrots require a serious commitment. Make sure you have enough space in your home for the type of parrot you want. Some parrots require a great deal of space. Parrots do not make good pets for small children. Parrots can be very messy. They can be very loud. Some parrots do not play well with other pets. 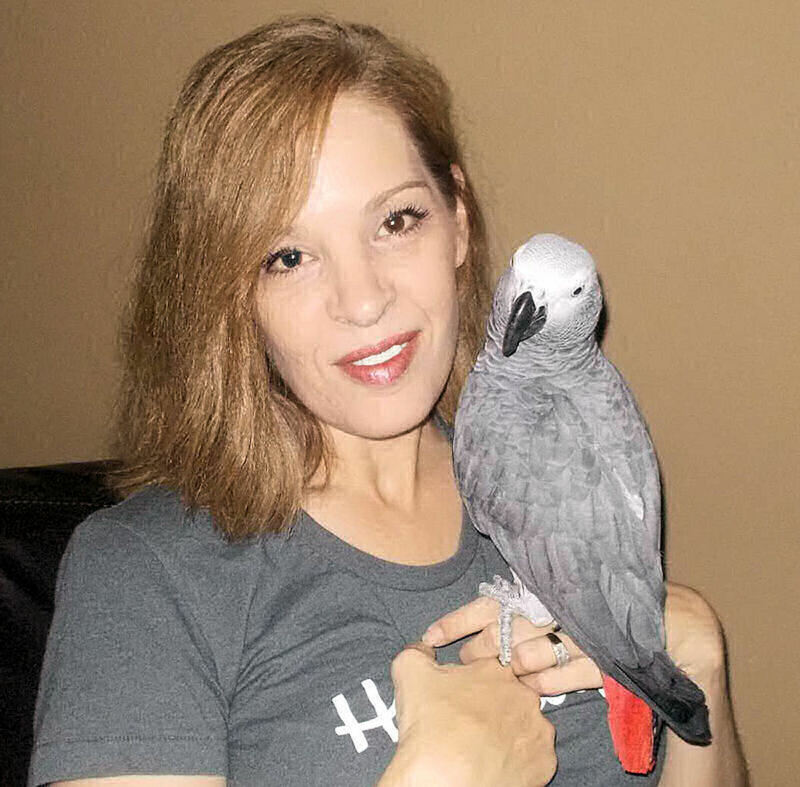 African Grey parrots are particularly easy to teach. The size of the parrot cage should match the size of the bird. There are small, medium and large parrot cages available and the bird owner must make sure that the cage is optimum for their particular type of birds. A permanent and reasonable amount of space in a low traffic area of the house away from doors that are frequently opened and closed. Parrots need a secure area with as few surprises as possible. They have no flock to defend them and their stress levels will rise if they are frequently startled. 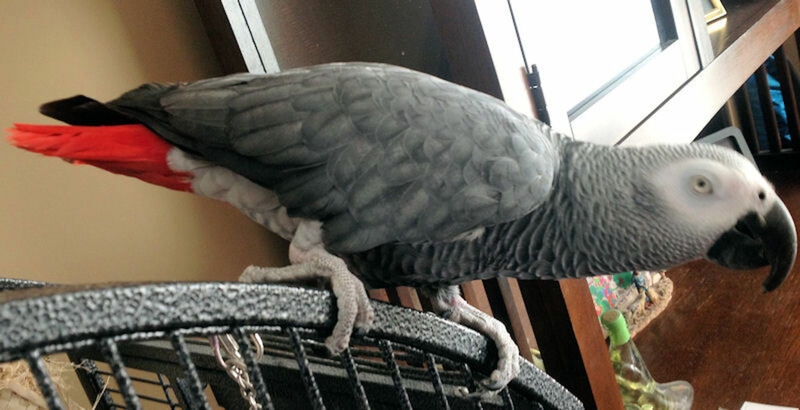 African Greys need more room horizontally than vertically, so a horizontal cage is preferable. It should be 36-48 inches wide and at least 30 to 36 inches in depth. The height needs to be at least 30 inches. Parrots need to be "part of the flock", so a special parrot room is a no-no. They need to be able to see and interact with the family, but not strangers that can scare them. Living rooms, (away from windows) are usually the best area. Ideally, the parrot's cage should be near the family room, living room and/or kitchen, or closest to the primary care giver's favorite room. 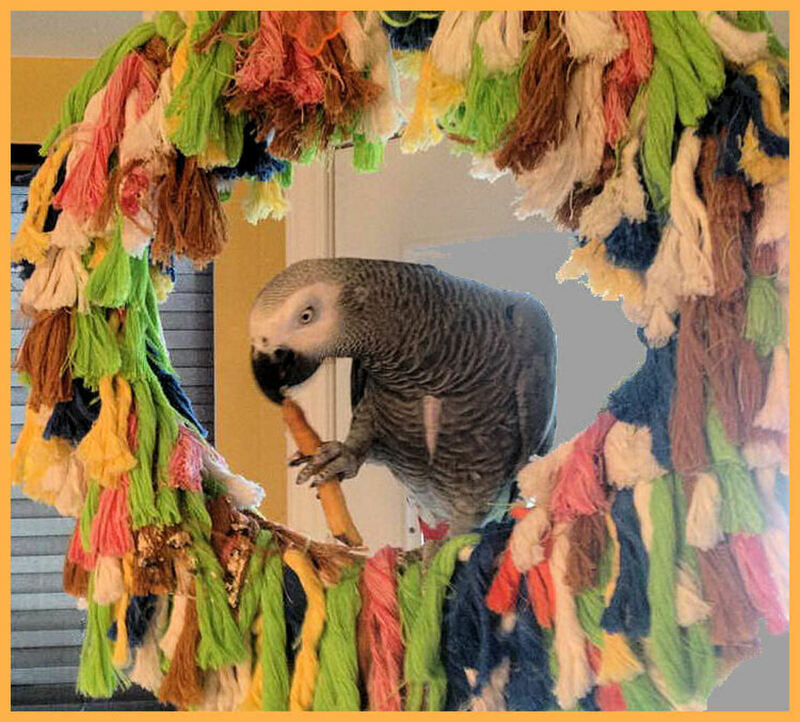 There should be a perch on the inside that allows the African Grey to hang upside down and play with toys. 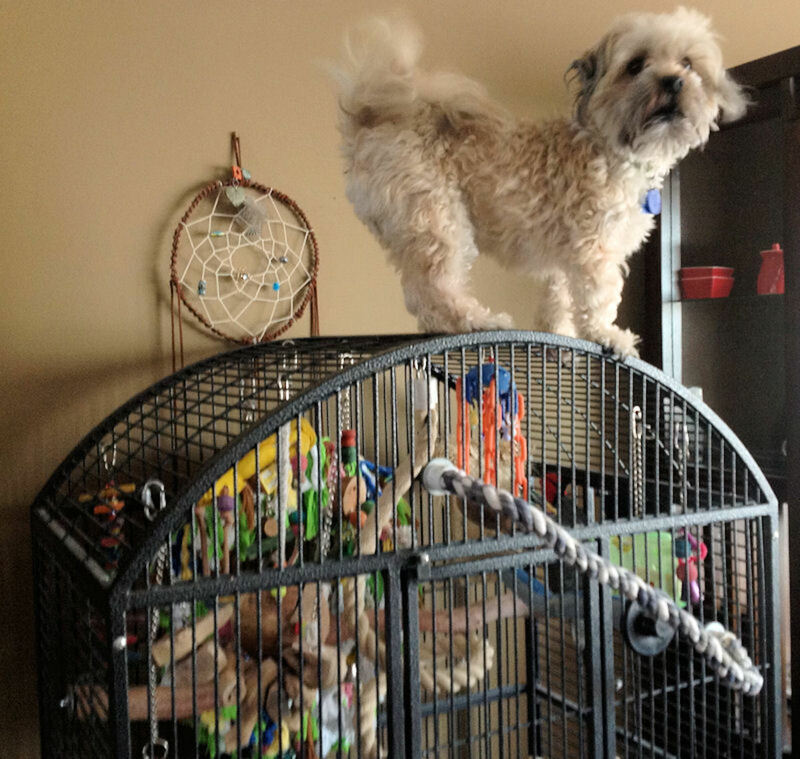 There should be at least one horizontal perch for the parrot's general use. There should be as many toys as your particular bird prefers. Trial and error is the only way to determine what type of toys your bird likes. The floor of the cage should be flat (not grates), and should be lined with white paper. The white paper will allow you to visually check your birds droppings to check for illness. Some perches may be placed somewhat at an angle to encourage climbing. 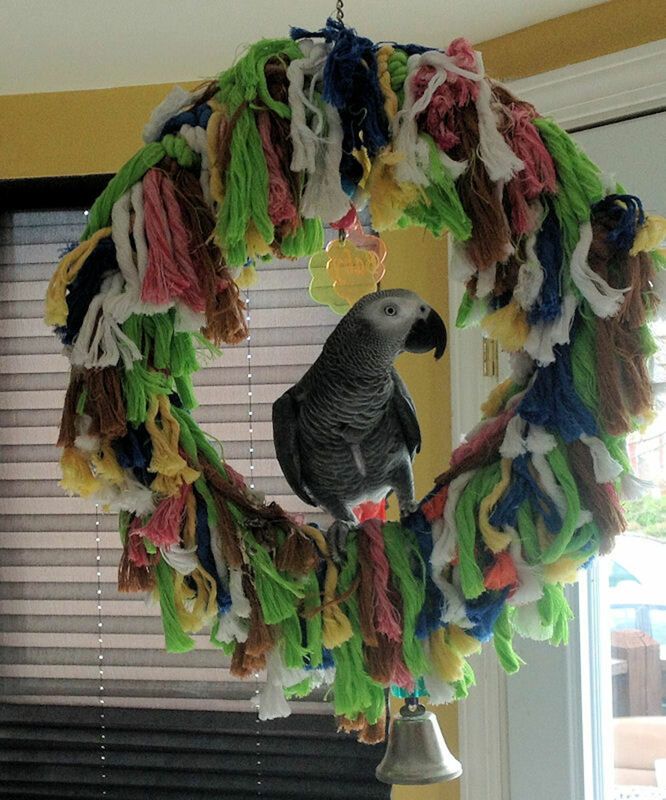 Some African Greys like to hang out on their cage doors when they are left open, so remember to add something under the entire cage to catch the mess. Perches - 1/4 to 4 inch diameter - should be made of metal, wood, rope, acrylic, stainless-steel chain, coconut, high-impact plastic and bird-safe rubber. There are commercially available parrot food pellets and these are good for your bird. Be sure to pick the organic kind with no fillers or artificial ingredients. Limit seeds as food because they are high in fat. Birds naturally love seeds and should eat some of them, but not as a steady diet. Water is important, but do not give them distilled water. Give them bottled spring water or tap water. A good way to remove chlorine from tap water is to let a bowl sit out overnight and then use it to refill the bird's drinking dish. One other essential item for parrot ownership is the emergency kit. Birds are normally healthy, but when they get sick or injured, they can quickly die. A responsible bird owner must be alert to any changes in a bird's personality or condition. Cornstarch can quickly stop bleeding due to a torn talon or injured feather. Styptic pens can sting or burn, just use plain cornstarch for best results. Pedialyte can replace needed electrolytes (sodium and potassium) in a dehydrated bird. Check with a vet for recommendations. Tweezers can be use to remove a 'blood feather' or a feather that has broken and left a bruise. Scissors and sterile gauze are used for minor injuries. You may need a clean towel handy to wrap and immobilize your parrot. Sterile saline can be used to flush out foreign objects in a bird's eyes. Betadine and swabs are used to disinfect cuts or other injuries. A heating pad may be needed to keep a bird warm (not hot). Tropical birds do not fare well in cold climates. Keeping a bird warm may save its life. A small bird carrier will be needed if your parrots need to be rushed to an animal emergency clinic or veterinarian hospital. Your pet's medical records and the names and numbers of nearby emergency centers and vets should be kept near the cage at all times. Don't procrastinate, set up an emergency kit right away. You never know when something may happen that requires swift action. Are you considering having a parrot as a pet? What kind of parrot would fit best in your home? How do I stop an African Grey from chewing on walls and carpet when I have blocked most of these areas? Have you provided plenty of chew toys of his own? Parrots chew out of frustration. Make sure your parrot participates fully in family life. They do not like to be alone. They are highly social and get bored easily. Boredom will cause them to chew everything. Had to read this as growing up we had good friends who had an African Grey. Everyone loved that bird. Nellie would chatter and interact and she was a family member for as long as I can remember. It was always a treat visiting our friends and we were all sad when she died. Great hub with loads of useful info. Love the pics too! Anon, you are a fascinating person! Your knowledge astounds me. I think you must be very intelligent. I wish you would create an account here on HP and write some hubs. Join the community. I think you would fit in very well. At least you get to write about whatever you want to, although they are getting a bit stricter here on content. I wonder how much longer the "religious" hubs will last. I've already removed all of my poetry. Birds are wonderful creatures all right. I used to have a cockatiel named Mork. He took a shower with me every morning. He escaped one day and I never saw him again. But for the time he spent with me, he had a great life of playing, whistling, eating popcorn and giving me pecks on the neck. I miss him still. I know he was a happy bird for a while anyway. Even though he's probably dead now. It's ok. All of my pets shared with me as much as I shared with them. I have four cats and two old dogs now. It's very painful to watch them get old and die, but that is nature and we all must go there. Our essence lives eternally. Always did, always will. Hi Austinstar. This is the anonymous guy from Titen-sxull's hubsite God versus Satan and Yahweh is Evil and God's Damned Creation speaking. I wrote the above comment. I have owned a Budgerigar and a Cockatiel in the past. They are both sadly deceased. The African Grey Parrot would make a wonderful pet but they tend to be only friendly with their owners. The Congo Grey is bigger and more aggressive than the Timneh Grey. The Timneh Grey has a friendlier personality and is less likely to bite. African Greys have strong beaks. Some people say it can break a human finger. Is this true? If that's true how often does it happen? African Greys have a lifespan of 50 years. 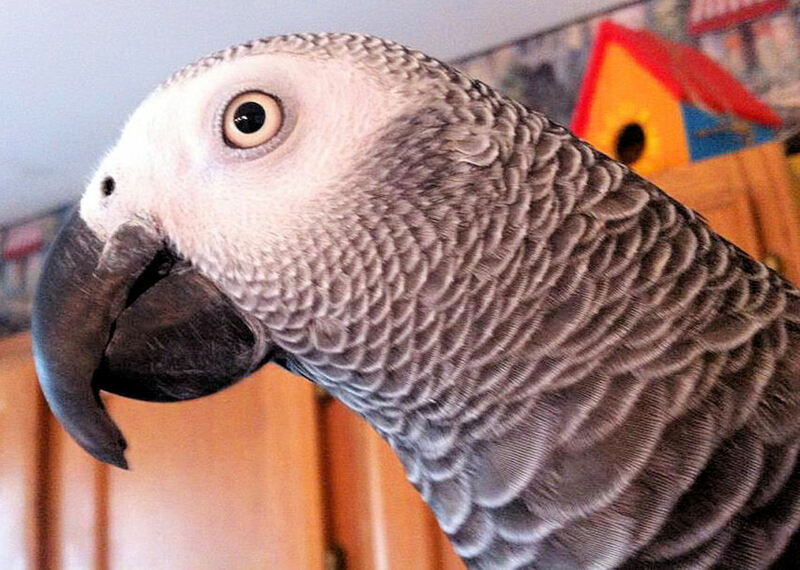 Alex the famous African Grey lived 31 years. African Greys are arguably one of the most intelligent animals in the world. Parrots and other birds should be kept in large aviaries. The San Diego Zoo has an aviary where Rainbow lories fly free and visitors can enter the aviary and feed the birds. It's a walkin aviary. The more space the better. My favorite birds are the smaller parakeets pigeons manakins cotingas trogons finches and sparrows and Birds of Paradise. 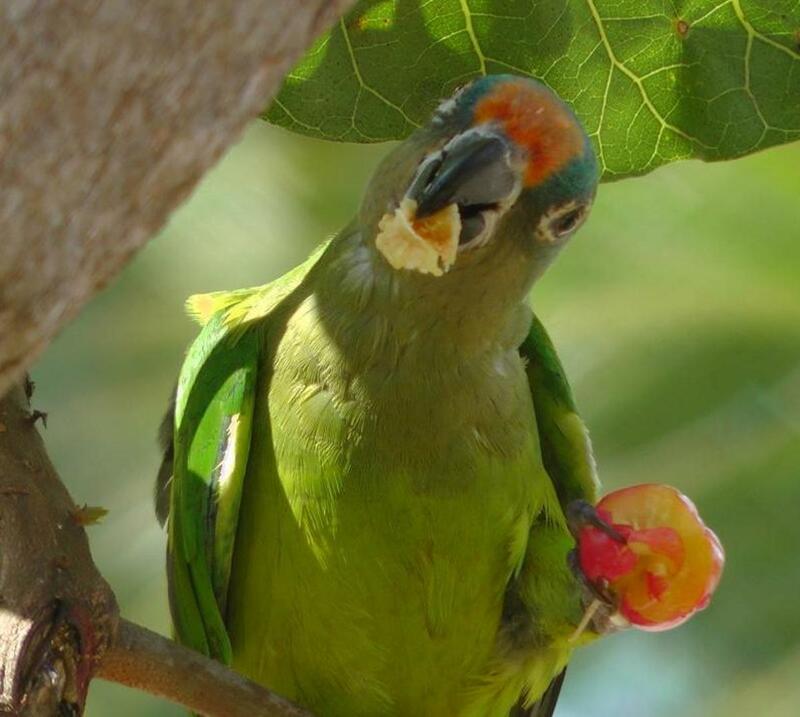 Do you know of any other places such as zoos or wildlife refuges or aviaries where Parrots and Parakeets can be seen? I want to see them in large aviaries or in wildlife refuges. Its sad to see them in cramped cages. One of the Canary Islands has a zoo or aviary with a large selection of Parrot species from all around the world. Australia the East Indies tropical Asia India Cental America South America and the West Indies have the the most number of Parrot species with a few in Africa and a few in North America. 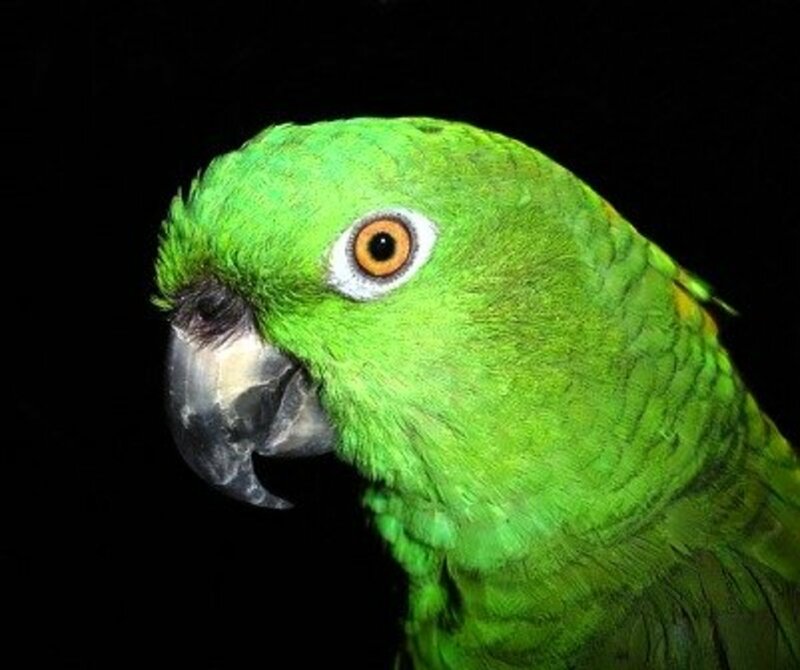 Have you read the book or seen the semidocumentary The Wild Parrots of Telegraph Hill? 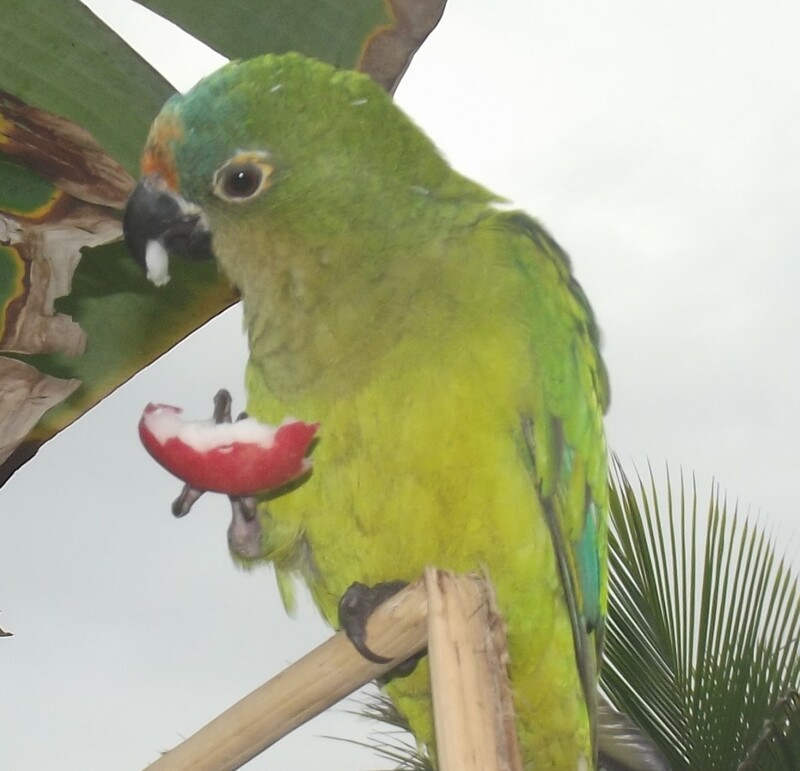 Author Mark Bittner befriended and tamed a flock of Red Masked Conures and one Blue Crowned Conure in San Francisco. 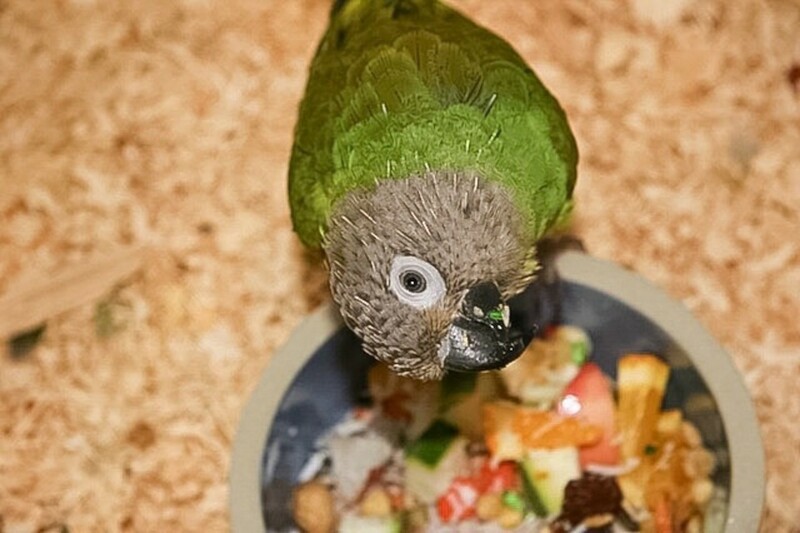 Some time ago a shipment of Conures escaped outdoors in California and they adapted to the climate and vegetation in San Francisco. Author Mark invited some of these birds into his apartment. Some of them became so tame they would perch on him and would enter his apartment. Mark says he tamed them by feeding them seeds. There were also heartbreaking tragedies and losses. 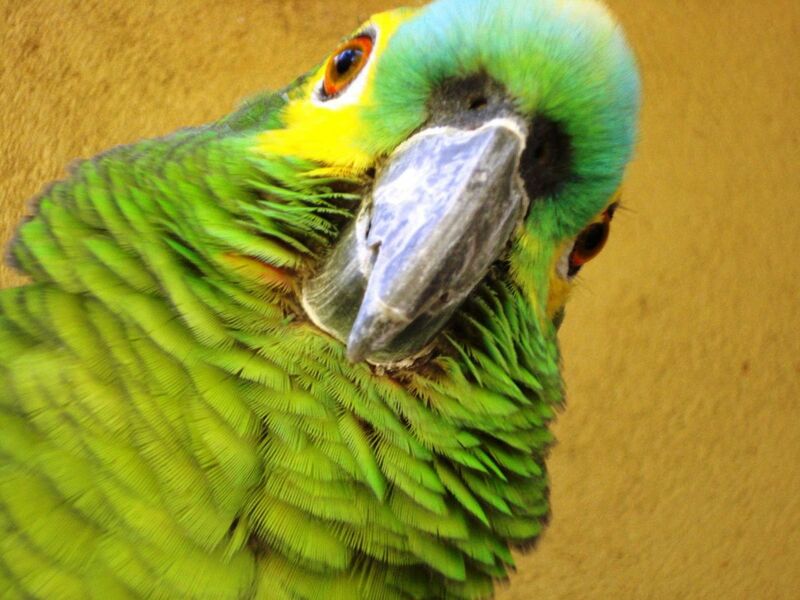 Connor the Blue Crowned Conure was killed by a hawk and Tupelo a Red Masked Conure died from an illness. I would visit Telegraph Hill San Francisco just to see these Conures and maybe to feed them. I love Parrots. Thank you for reading. Even though bad things happen to good pets, you shouldn't let pain be your guide. Cherish the time you have together. All creatures must die, just make their time alive as good as it gets. The Parrot family of birds are my favorites. I prefer the smaller members of the Parrot family. Macaws Cockatoos Amazons and African Grey Parrots have dangerous beaks that can amputate fingers. The largest species I feel safe with are Blue Crowned Conures and Indian Ringneck Parakeets. My favorites are Budgerigars the Neophema grass parakeets from Australia the Rainbow Lory small to medium size Conures the Brotogeris Parakeets from South America and the Cockatiel from Australia. In the past Ive owned a male Budgerigar and a male Cockatiel. The Budgerigar was snatched away one sad day by a lurking cat while my back was turned outside my yard. The Cockatiel was snatched away by a cruel disease one sad day. I think it was a victim of an aneurysm. There was external bleeding from its mouth or eyes. A blood vessel ruptured. The pain from an aneurysm is horrific and if left untreated is as lethal as a gunshot blast. One of the drawbacks of Parrots is that they have a lot of health problems and aneurysm is just one of the many diseases they suffer from. I will always treasure the happy times I had when my pets were alive and healthy. I had them at different times so they didn't meet each other. The Budgerigar was olive green and yellow. He could say four words. He was one of the best pets. The Budgerigar is the best Parrot and one of the best birds and one of the best pets. They are friendly lovable affectionate intelligent. The Cockatiel I had was grey. He could say his name and was an outstanding whistler. 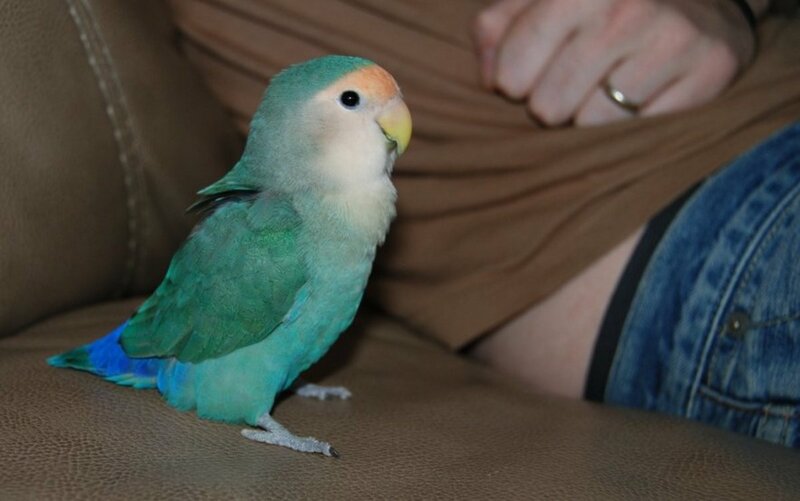 He was very lovable and affectionate and also one of the best Parrots and one of the best pets. The loss of my beloved pet birds has hurt me so much that I have not gotten another one as I fear going through the torture of losing it. Losing something you love is painful. Diseases predators poisons cars ovens being stepped on etc are among the dangers one has to worry about when keeping small pets. I may get another pet bird in the future. If I do it will be from the Finch family. 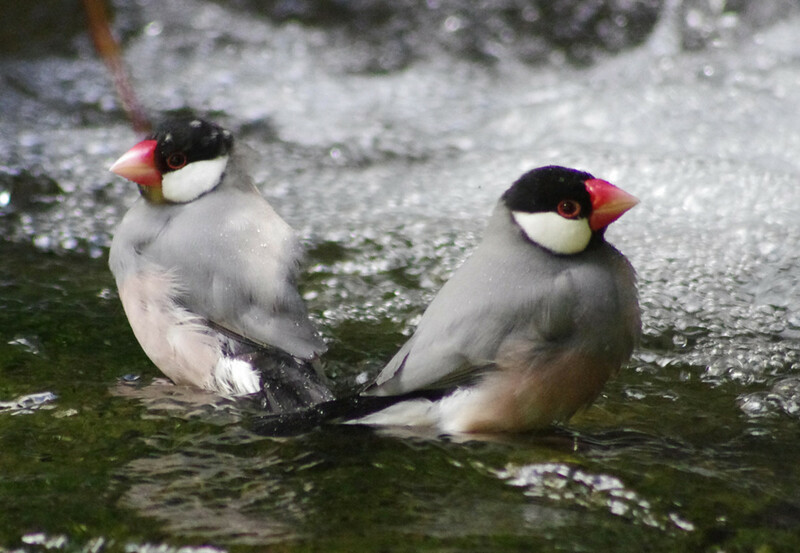 Finches don't bond as strongly with humans as Parrots do. I don't want to get another animal that Im going to bond strongly with and then have to go through the horror of it suffering and dying from a disease or getting run over by a car or getting stepped on or being poisoned or being snatched off by a predator. The world is cruel and dangerous. Plus sickness in the family and health problems and problems at work also negatively impact whatever pets I have. If something happens to me such as illness or injury then the pet also suffers. In an ideal safe world I would keep many Parrots and many other pets but sadly this is a cruel dangerous world with diseases predators poisons accidents and death. Memories and photographs are all I have of my beloved pets. My cockatiel, Mork, used to sit on my shoulder and peck at the chain around my neck. I had little red peck marks all around. I did raise Parakeet "love birds" during my youth. I also had a bad experience with Parrots. A relative brought some Parrots caught in the wilds of Palawan (a southern province in the Philippines.) when he visited my parents. One took a peck at my finger and cause it to bleed. I was quite young at the time. It would be nice to have a pet that could actually talk back to you and probably speak more sense than many humans. Oh they are clever indeed. Pedro has Kelley wrapped around his little claws. Thanks for the information, Lela. I have two small parrots and I love them both. I'd like to have an African Grey Parrot in the family sometime, though. They sound like such clever birds! Thanks! (blushing). It was fun to write. I also learned that African Greys are able to be potty trained as you say. Tell Pedro I want to meet him! What a perfect job you did!! Great advice and great information. I am printing it because you have such a great list of things they can or can't eat with regard to human food. I can't tell you how much I love my Pedro. He is very smart - and very affectionate toward me. He might bite other people if he's scared but he is kind of a rare multi person bird. Most Greys attach to one person - they they can change their minds later. They say they can be as smart as four year old children and I've seen it. He imitates any noise he hears. All the kids love him too. I love the added advice that you should own a small bird first - they are a lot of work if you are a nice owner, they need lots of attention. Pedro is out flying free about 3 hours a day or more. He uses the restroom in one favorite spot - haha - trained better than my dogs! I LOVE this hub - you deserve HOTD!! Thanks, drbj. I hope to get up there and see Pedro myself soon. I've always wanted an African Grey too. What fond memories you have invoked, Lela. When I was a youngster (many moons ago) my grandmother lived with us and she owned a parrot. Not sure what kind but it was beautifully multi-colored. When the phone rang, the parrot would cry out mimicking her voice, "Lee (my mother's name), answer the phone!" Sounded just like my Grandma. Thanks for the deja vu as well as the fascinating information, and thanks to Kelly also for the outstanding photos. I have 3 cats and 2 dogs, so no parrot in my future, but I love them. I used to have a cockatiel that would take a shower with me every morning and eat popcorn like crazy! He was so much fun. We have a golden naped Amazon now. When our daughter moved, she took the female Eclectus with her. They are both characters and a lot of fun. I have known a few people who have these parrots and of course love them. I am not a parrot fan ---at least not enough to have one. However their owners love them..They do live a long time..You did a great job on the pros and cons. Voting up and sharing. Parrots are so adorable! I love to have one someday. Like it too when they start saying things, including my name. :-) great hub. Austinstar, I love parrots, though I don't have one at home. I have seen the feats of parrots with my friends and some are really fantastic. The most popular here are green parrots with red ribbon. African grey parrot seem to be quite different and thanks for sharing their upkeep. Thumbed up and shared.